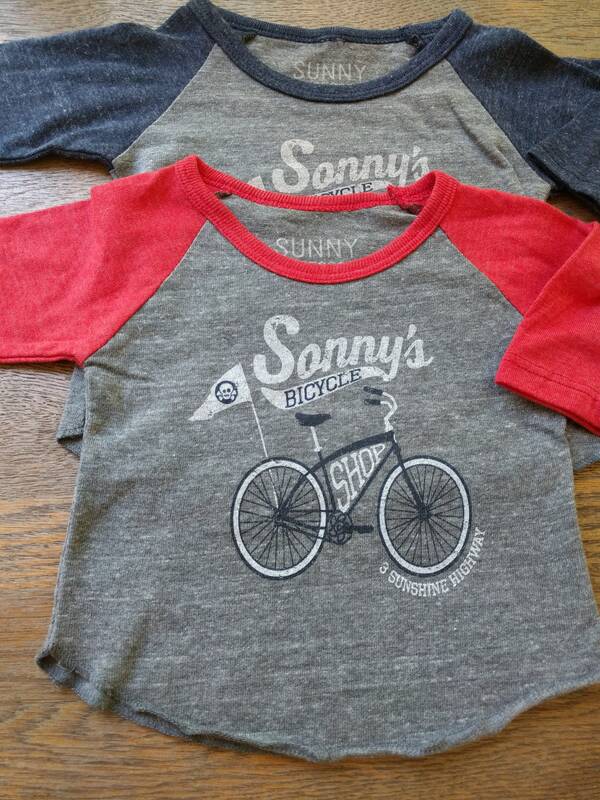 Sunny In Georgia's "Sonny's Bicycle Shop" made in the USA triblend 3/4 sleeve tee. 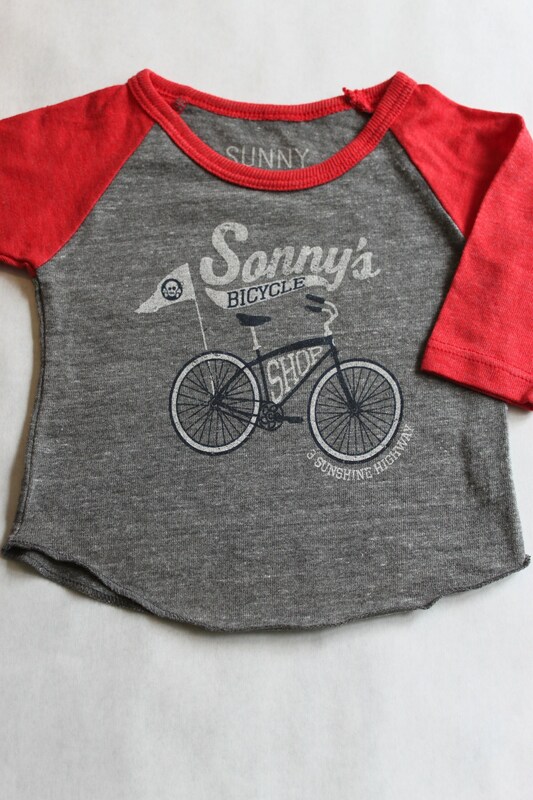 Super comfy tee offered in blue or red sleeves. Screen printed here in Georgia. 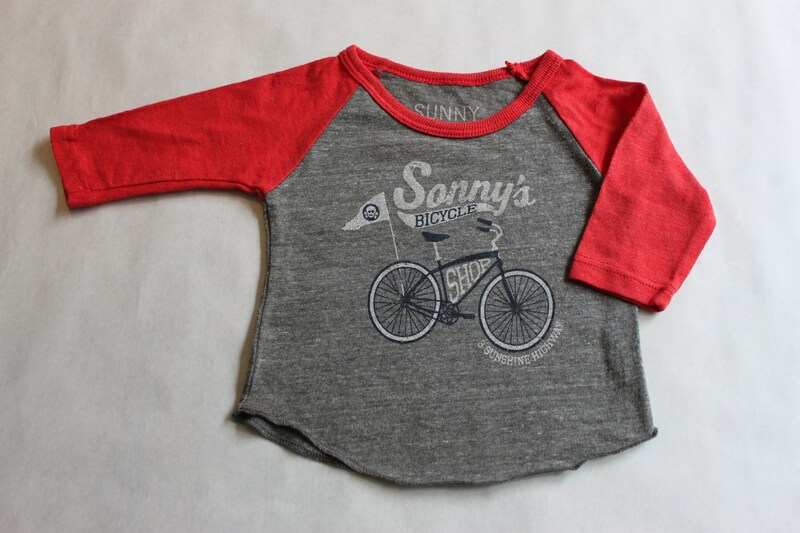 in sizes 3/6 months-6Toddler (and we have this is adult sizes, too)! Makes a great family photo!! !